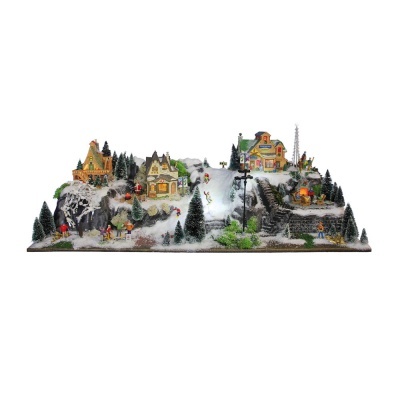 My Village™ Christmas Village Base Olympic Display Platform from the range of scenic accessories that fully compliments the Lemax Collection. Suitably pre-formed and pre-painted Winter themed extra large village base, providing a great platform for displaying a Lemax Winter model miniature village! A vast 3D hollow durable plastic resin base suitable for use with the miniature Lemax Villages range, providing plenty of scope with multiple levels for building placements, steps and a ski slope for an Alpine scene. With the possibility of adding trees and other accessories, you can create a wonderful themed Christmas village scene with this village base. MyVillage™ also supply other scenic accessories such as spray paints, glues and decoration such as coloured gravels, mosses and corks to give a realistic look. Used either on its own or with other bases within the range, this base can make a large table display or a home window scene. 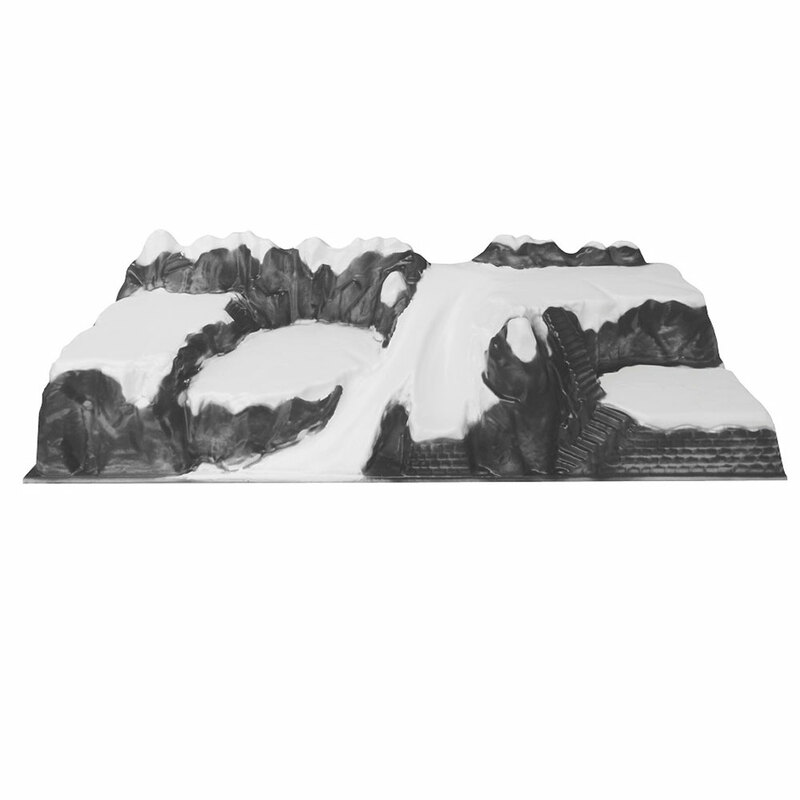 MyVillage™ bases are ideal as a backdrop for Lemax buildings and figurines but can also be used for any modelling or miniature scenic display.